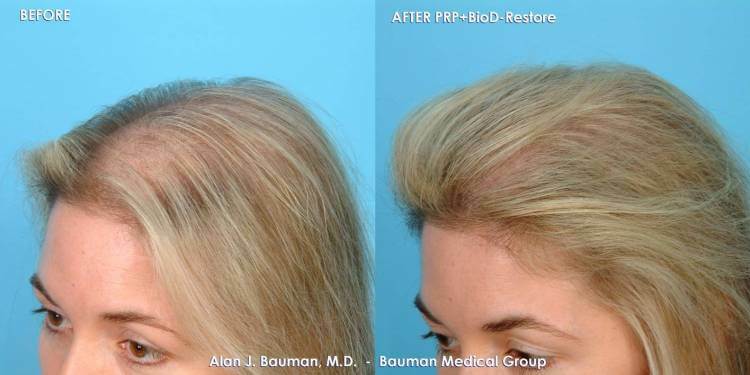 Before and after photo of 38 year old female PRP hair regrowth Bauman Medical patient. 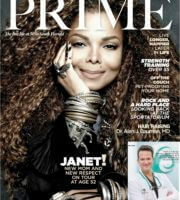 Vampire PRP or Platelet Rich Plasma (PRP) is a hair growth treatment derived from your own blood platelets. Growth Factors and other components in platelets can initiate tissue regeneration and repair. PRP with ACell or BioD-Restore ECM is used to enhance hair growth in follicles affected by inflammation or hereditary hair loss. The treatment can be helpful for men and women, but is not a cure for hair loss–it enhances growth for just a period of time before it needs to be repeated again. PRP can be used in conjunction with hair transplantation. HairCheck measurements are recommended every 90 days to monitor the response from therapy.